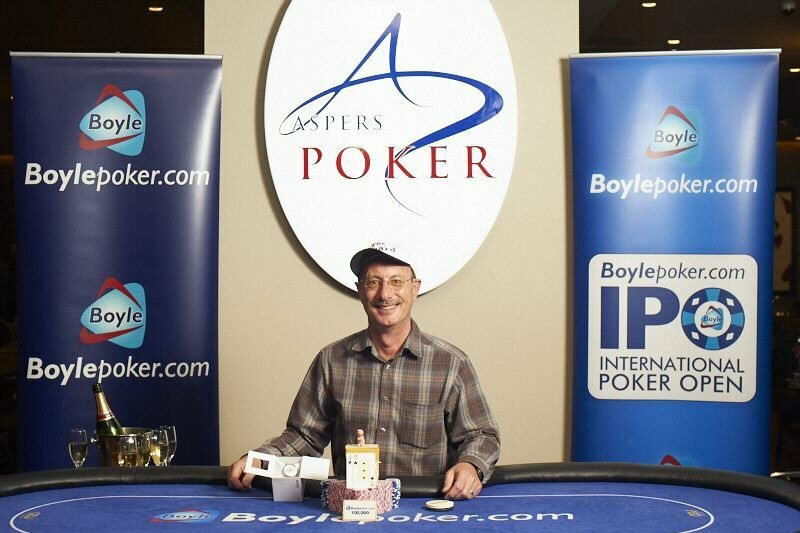 The Boylepoker.com International Poker Open London has been won by Michael Wright. "The Wizard" topped the 345-strong field in the £200 + £25 buy in event at Aspers Casino, Stratford, London at the weekend to take home £10,105 after a five-way deal was struck at the final table. Wright started the day third in chips but would eventually win every chip in the tournament after he defeated Andrew Sotiriou heads up. The final hand saw Sotiriou raise the button and Wright call seeing a Kd 5c 4c flop. Sotirou pushed all in and Wright called showing 4h 3s for a pair while his opponent held Ac 10c hoping to turn or river another club or hit an A or 10. The club never came and Wright was crowned IPO London 2013 champion. Wright, who bought a round of drinks for the entire cardroom earlier in the day, said after his win, "I played the £5 feeder to the £22 satellite and won it; then I was the first person to register for this." Ciaran Corbett, head of poker at Boylesports, said, "We're delighted for our new champion. He's a really genuine guy and a worthy winner and we look forward to welcoming him to Ireland to defend his IPO title in October!" The International Poker Open returns to Dublin in October 2013. Details of the event including online qualification will be published soon. Please credit Anne Laymond for photograph. The International Poker Open is one of Europe's largest poker tournaments offering players an international, big field event with a massive prize pool at an affordable buy in.